After taking a series from the Yankees in Yankee Stadium, the Tigers promptly dropped a series against the White Sox, including an incredibly deflating loss on Monday night when they blew a 7-0 lead and managed to let the Sox walk off in extra innings. Still, the Tigers are above .500 and still within just a few games of first place in the AL Central, thanks to some great pitching by Justin Verlander and Michael Fulmer, and some consistent hitting from their juggernaut offense. Coming up? Oh, nothing, just a four-game series against the red hot Royals, and a three-game series against the first place Indians. This next week and a half is going to be rather important, which means the Tigers need to get their starting rotation back on track. 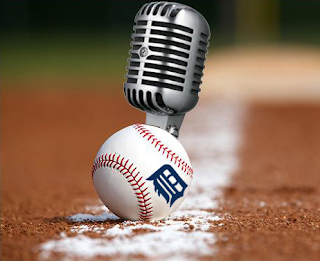 Rob and HookSlide discuss the inevitable emergence of Daniel Norris and whether he can help, the recent struggles of Jordan Zimmermann and whether he can right the ship, and how long it will be before we see Joe Jimenez in a Tigers uniform. - Is Steven Moya still going to be in the system when August arrives? - Can the starting Rotation survive the Mariners offense? - Is Nick Castellanos going to bounce back? 1:34:50 - The 7th Inning Kvetch: how did we do in the MLB draft?